A junior-cut slim fit crew neck with a some extra length. Made of super-soft ringspun cotton jersey. "The photo of the women's shirt collar was slightly different than what we received. And the size run kind of small. If I order again, I'll be sure to get the larger sizes instead. " "The shirt is lovely, material great. The sizes are soooooo small. Having said that, I was told that they were cut small, but they are really small. I would equate it to almost children sizes. The good thing is that most of the woman who are buying are dancers and thin, but I would really stress that in the future to people buying this shirt." 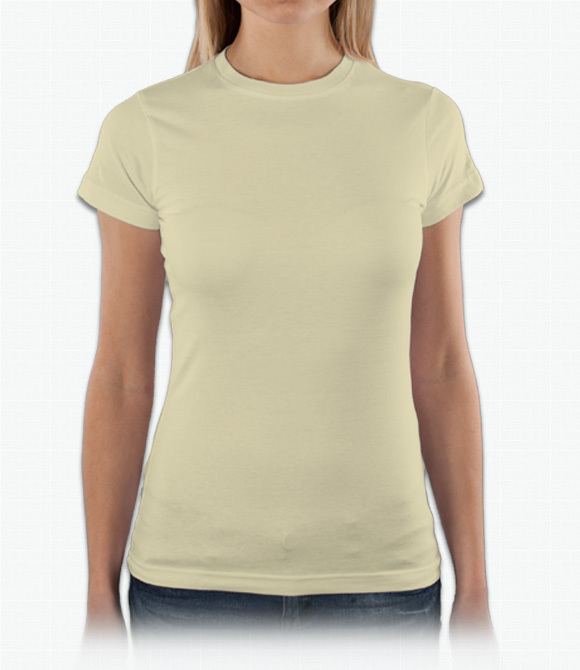 "Nice lightweight ladies' shirts, good and long, but seem a bit on the small side as far as sizing goes."